The Elephanta island, or Gharapuri, to use its original name, is the site of the Elephanta caves, a UNESCO World Heritage site, and receives more than 20 lakh tourists every year. However, the three villages on the island, home to about 1,200 people, have not had electricity since independence. 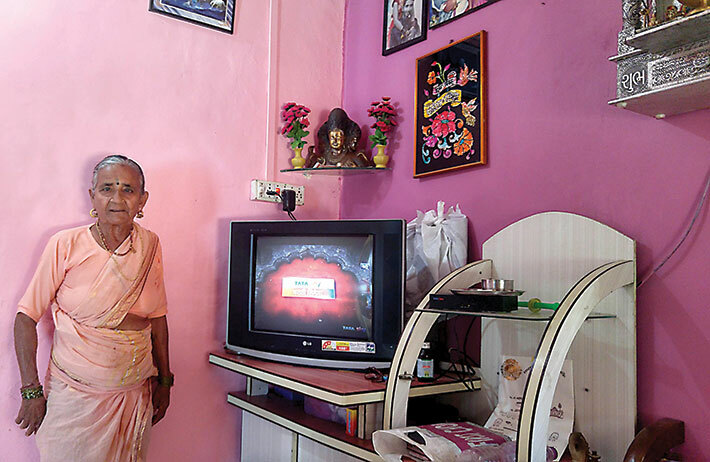 The island lies hardly 10 km from Mumbai, India’s commercial capital, but the villagers lived in darkness – a shame, and a mark of administrative and political apathy. Neither the media nor rights groups played up this fact. But now, the islanders need not complain. In February this year, electricity was delivered to the island via a 7.5 km undersea cable. The electrification project cost Rs 25 crore and took the Maharashtra State Electricity Distribution Company some 15 months to complete. The laying of the cable itself took three months. Each of the three villages on the island has a transformer, and six high-mast streetlights about 13 metres high. Electricity connections have been provided to 200 domestic users and a few commercial consumers. 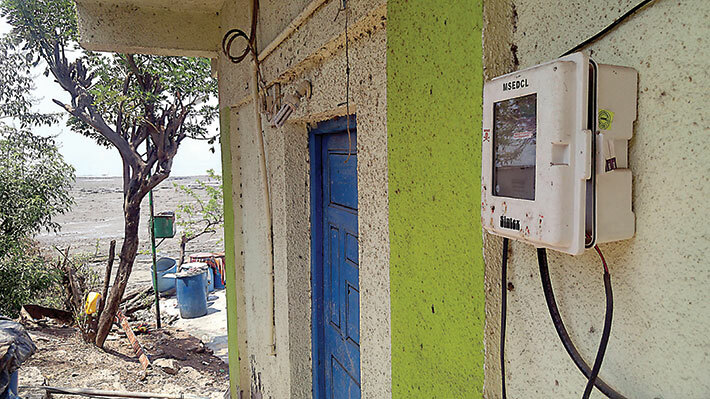 At a function held on the island, social reformer Appasaheb Dharmadhikari switched on the power supply. The function was attended by Maharashtra chief minister Devendra Fadnavis, ministers Chandrashekhar Bawankule, Jaykumar Raval, Ravindra, and others. The task of electrifying the Elephanta island was part of prime minister Narendra Modi’s target of electrification of all of India within 1,000 days of his term. The target was achieved in 987 days, with Leisang in Manipur becoming the ‘last village’ to be added to the power grid on April 28. The prime minister described it as a “new beginning of a period of development” for the 1,200 people living on the island, mostly involved in fishing, farming, boat repairs and tourism-related activities. “There is no greater contentment and joy than the fact that the lives of the countrymen be full of shine and there be happiness in their lives,” he said, echoing their sentiments. Incidentally, the 22-KV undersea cable has four lines, including one standby line ensuring round-the-clock power to the islanders with excess capacity to meet requirements for more than 30 years. The cable has been connected directly with the MSEDCL’s Olwa sub-station, Panvel division, in Raigad on the mainland. The cable connection is expected to speed up work on the proposed 8-km ropeway connecting Mumbai directly with the Elephanta island. The project, planned by the Mumbai Port Trust (MbPT), will give tourists a thrill to remember their visit to Elephanta. A water filtration plant may also be set up on the island so that islanders can have access to safe, clean drinking water from a small dam on the 16 sq km island. And now, in May 2018, when the Maharashtra Coastal Zone Management Authority (MCZMA) released the draft coastal regulation zone (CRZ) maps for Raigad district, environmentalists were up in arms. The mangrove areas in Taloja, Kamothe and Gharapuri island have, in the draft maps, been marked as Coastal Regulation Zone (CRZ) II – areas that have already been developed up to or close to the shoreline where authorised constructions are allowed – enabling developers to work in the area. 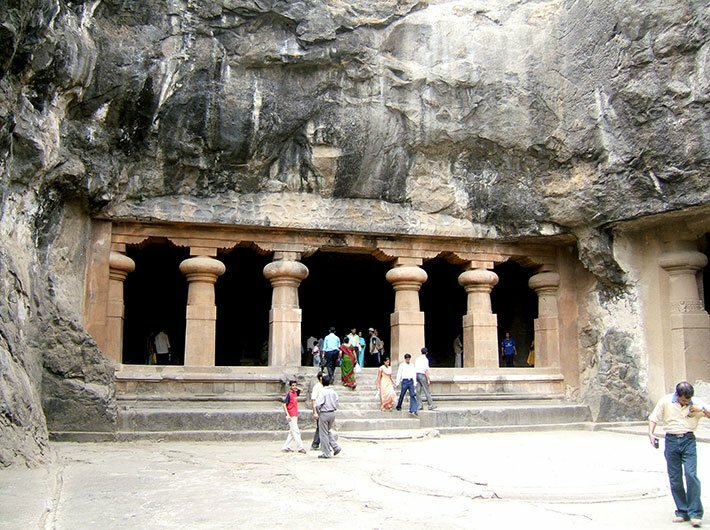 The environmentalists maintain that Gharapuri island, renowned for its centuries-old Elephanta caves, needs to be preserved as an open space and kept away from any development. It is alleged that the Fadnavis government is now trying to open up the Elephanta island for development. While CRZ-I covers ecologically sensitive areas within 100 metres of the high-tide line where no development is allowed, CRZ-III covers areas within 500 metres of the high-tide line and are considered no-development zones. CRZ-II covers areas within 500 metres of the high-tide line but are already developed, for example, Marine Drive in South Mumbai. But the islanders are happy to join the development bandwagon, and with good reason. For years, they have faced a huge survival crisis without power. Scores of islanders have died owing to lack of immediate medical attention in case of crisis such as snake bites, heart attacks and so on. The arrival of electricity on the island could mean the arrival of a health centre, with the means to store vaccines and other life-saving medicines. Access to clean drinking water, hygiene and safety, education and entertainment closely associated with the right to life is now within reach.